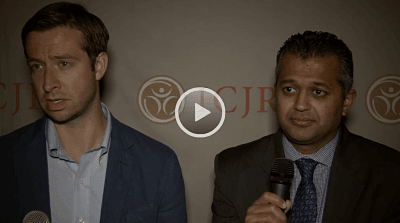 Home ICJR Interviews: Does Resident Involvement Increase Morbidity or Mortality? Good news for foot and ankle orthopaedic surgeons who work with orthopaedic surgery residents: Their presence in the operating room and on the postoperative care team does not increase the risk of patient mortality or overall morbidity. That’s the conclusion of a study from Duke University, Durham, North Carolina, that used the ASC-NSQIP database to identify nearly 14,000 patients who underwent 1 of 24 common foot and ankle procedures from 2005 to 2012. Residents were involved in the care of 56% of these patients. The researchers found no difference in the 30-day mortality rates between patients who did and who did not have a resident involved in their care. On univariate analysis, resident involvement in care was associated with greater patient morbidity and greater surgical and medical complication. On multivariate analysis, however, only medical complications remained. The higher rate of medical complications seen even on multivariate analysis may be due to residents’ involvement with older and sicker patients, said study authors Christopher E. Gross, MD, and Selene G. Parekh, MD, MBA. Click the image above to hear Dr. Gross and Dr. Parekh discuss the study, “Resident Involvement Increases Morbidity but not Mortality in Foot and Ankle Surgery” (Paper 258), which was presented at the 2016 Annual Meeting of the American Academy of Orthopaedic Surgeons in Orlando.